Industrial facilities are well known to be potential sources of environmental pollution. Production facilities of such heavy industries as metallurgy, cement, chemical and others, today need to meet very strict ecology standards which are demanded by governments and society. 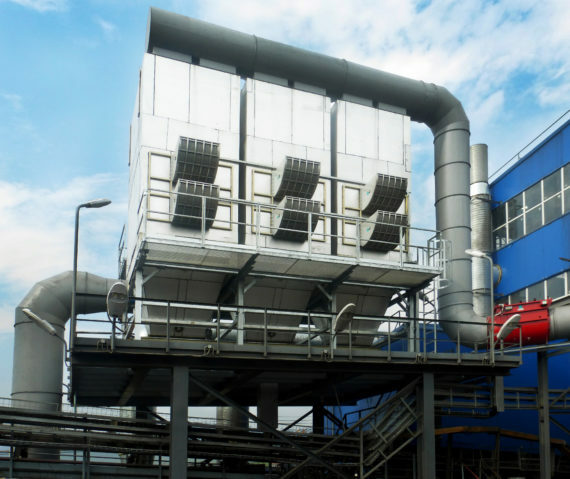 SovPlym offers a range of filtration units with variable capacity that helps to meet all necessary environmental regulations and safety standards without compromising the speed, quality, and efficiency of the production process. SovPlym industrial filters set a new level of environmental protection for heavy industries. Each industrial filter produced by SovPlym is a result of careful planning and engineering multi-stage process that in most cases include on site inspections, development, production, installation, start up and regular maintenance. Addressing to SovPlym you can be sure that the offered solution will be developed, produced and installed, according to all the provided details of your production processes, specific demands and stated requirements. Self-cleaning automatic filter unit for dry loose dust for indoor and outdoor installations on top of silos and aspiration covers. Stationary self-cleaning filter with flat cartridges. 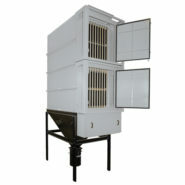 For «heavy» processes with high dust concentration incl. graphite, chalk, and fiberglass. Requires compressed air supply.